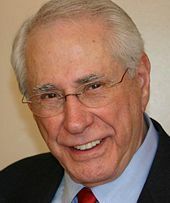 Maurice Robert "Mike" Gravel is a former Democratic United States Senator from Alaska, who served two terms from 1969 to 1981. He founded The Democracy Foundation. In order to promote the National Initiative for Democracy, he ran for president in 2008. Marcus Cicero, over 2000 years ago, defined freedom as participation in power. If you don’t participate in power, you are not free. Whoever has the power owns you. If you want to be free you have to participate in power. Power is lawmaking; if you don’t participate in lawmaking, all you can do live by the laws that are made for you. Either you live by their laws or you go to jail. Those who make the law have the power to make you free. On election day, you give your power away. Follow the logic: If freedom is participation in power and power is lawmaking, then freedom is participation in lawmaking. The key to freedom is the National Initiative: it gives the people the tools to make laws, to vote on all the issues that effect their lives. Now THAT is freedom. The crux of the National Initiative is to share power and have freedom.